Earlier this month, local and national news outlets reported on videos posted by an activist in Englewood that depicted Chicago Police officers parking an unmarked truck filled with merchandise in the neighborhood, with the intention of arresting anyone who tried to break into it. In one of the videos, the activist confronts the police officers monitoring the "bait truck," one of whom replied, "No one touches it, no one gets locked up." According to Vox, the truck (which contained Nike Air Force 1 and Christian Louboutin shoes) was left at multiple sites in the South Side neighborhood as part of an operation arranged by the Norfolk Southern Railway police that was meant to deter cargo theft. The "bait truck" operation was used to lure thieves and ultimately led to three arrests, according to the Vox report. After videos of the "bait truck" operation began circulating online, many argued that the use of the tactic amounted to entrapment and that Chicago's police resources could be put to better use. The president of the Norfolk Southern Railway ultimately apologized for the operation in response to a Chicago Tribune editorial, stating that the use of the trucks "eroded trust between law enforcement and the community." 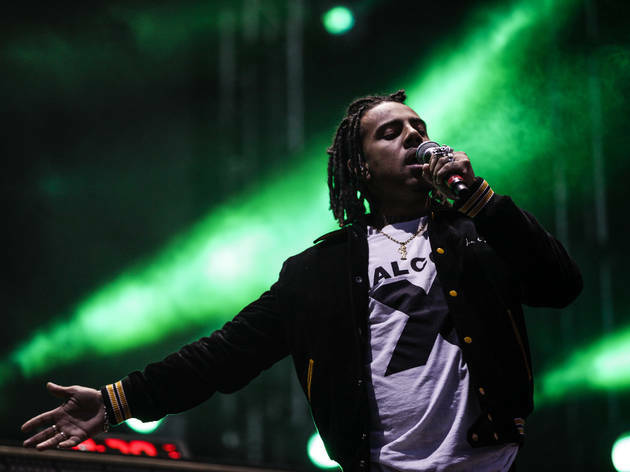 Local rapper Vic Mensa was just one of several prominent Chicagoans who took notice of the "bait truck" incident and the impact that it's had on the community. In response, Mensa's SaveMoneySaveLife foundation has organized an anti-bait truck event, collecting donations of thousands of shoes that will be given away out of the back of a truck parked at the Englewood Community Center at 2050 W 59th Street—not far from where one of the "bait trucks" used by police was parked. The event will take place on Sunday, August 26 from 4 to 7pm. Anyone who shows up will be able to score some new kicks, but if you can easily afford a new pair of shoes, consider helping someone less fortunate by making a donation via the organization's Amazon wishlist.